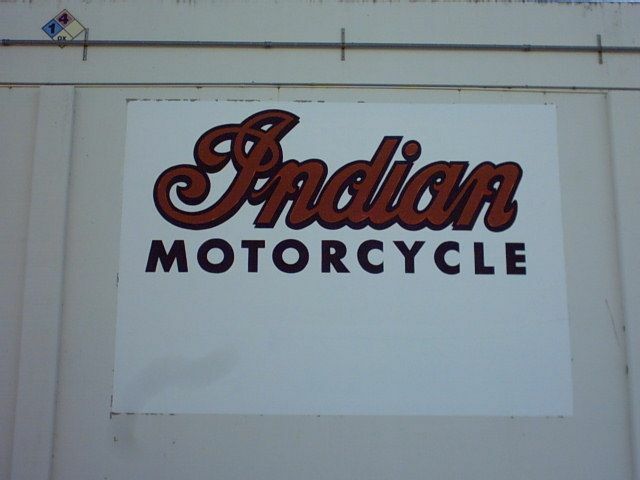 The curse that has followed the Indian Motorcycle brand for 50 years strikes again. Five years after winning rights to the name, the latest Indian Motorcycle Company has run out of money. By Art Friedman. This is the 2004 Indian Chief Roadmaster, which epitomized the nostalgic look of Indian's V-twins, recalling an era of big, elegant American motorcycles. We will post the rest of what would have been Indian's 2004 model line here in the near future. Five years into its attempt to revive the Indian Motorcycle brand, the latest iteration of Indian Motorcycles has headed for the happy hunting ground. The Gilroy, California company announced it would shut its doors on Friday, September 19, 2003, after failing to obtain necessary financing to continue operations. The announcement comes 50 years after the first Indian Motorcycle company ceased operations and five years after the current entity was created. The first Indian motorcycles were built in 1901. The announcement took almost everyone, ourselves included, by surprise. The company finally seemed to be making progress, based on a meeting we had with it just a week before. It has sold 13,000 motorcycles with rather impressive price tags, about 4500 of them in the last year. And it had just showed us its 2004 models, which seemed to have finally moved out of the realm of the Harley clone. "We no longer have to apologize or explain our motorcycles," Fran O'Hagan, Indian's executive vice president, told us. The 2004 models were built almost entirely of components designed by and built for Indian. Only the engine's Harley pattern kept it from being a completely original motorcycle. With all the proprietary parts, Indian anticipated greater reliabilty, more streamlined manufacturing, and significantly better performance. Most 2004 models were also to see sharp price reductions -- in the neighborhood of $1000. There was a new model, the Scout Two ten, named for its wider rear tire, which we rode briefly and were generally impressed by. The conditions that enabled the current owners to get rights to the Indian motorcycle name may have also contributed to its undoing. The court that gave it to them ordered that it produce a significant number of motorcycles almost immediately. As a result, those first Indians were little more than Harley clones built by CMC with wide, deep fenders and a couple of Indian logos. The company had been trying to build a motorcycle using its own parts in the five years since. It looked like it was about there. However, spokemen said that trying to manufacture motorcycles and fund development of future products turned out to be beyond its financial ability. The financing that fell through was reportedly in the eight-digit range. The company employed just under 400 employees, who were told that it was over on Friday. Chris Craft has recently acquired the Indian Motorcycle Company. May be coming back to Gilroy. [May 2011] Building was turned into level ground sometime last month. This location's validation is current. It was last validated by Steed on 5/6/2011 1:12 PM. This page was generated for you in 93 milliseconds. Since June 23, 2002, a total of 574103597 pages have been generated.